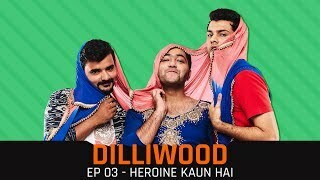 MensXP presents to you its first web series, Dilliwood! What happens when 3 Delhi boys try to make it big in Bollywood? Find out about their journey in this series that'll keep you hooked!. 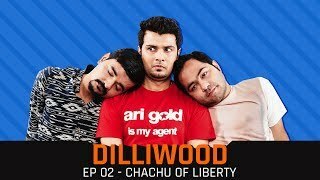 Here's 'Chachu Of Liberty', the second episode of Dilliwood. The boys have finished making their first ad film. Do you think it worked? Find out in this episode of MensXP's web series!. Things are heating up in episode 3 of Dilliwood. Watch this fun new episode to find out heroine kaun hai!. 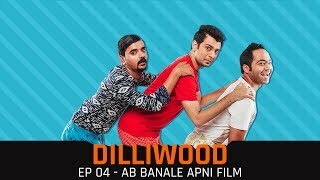 Here's 'Ab Bana Le Apni Film' - the fourth episode of Dilliwood. Watch on to know how the journey of 3 Delhi boys trying to make it big in Bollywood is going!. 6. Ab Bollywood Nahi, Dilliwood! Dilliwood comes to an end with its season finale, 'Ab Bollywood Nahi, Dilliwood'! We hope you found our web series entertaining and we can't wait to come up with more!.